Wartogs 5th annual Pimp My Wheelbarrow Race. absolutely no seriousness allowed. $2 entry fee or team. All entry money will go to help fencing of dump site. Race followed by Christmas party. 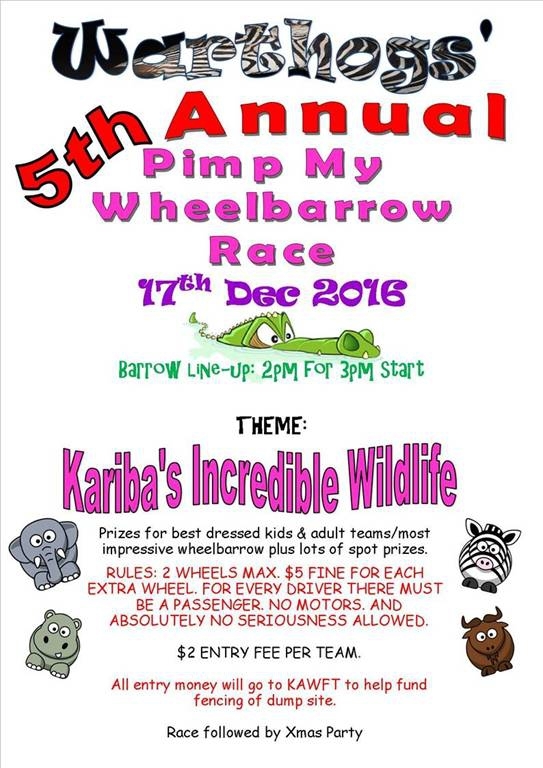 Please can entrants complete the registration form attached and return to tracykariba@gmail.com by Saturday 10th December.